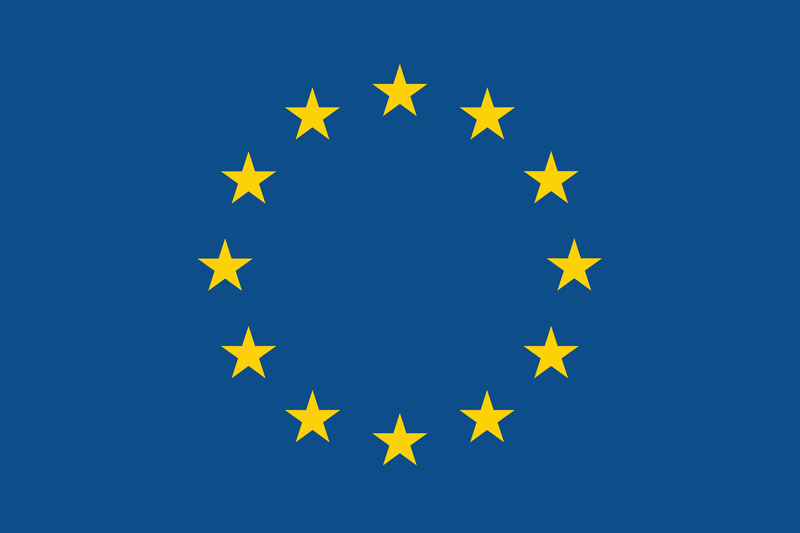 The CELSIUS project has a diverse range of expertise, in the form of its consortium partners, that covers all phases or aspects in the evolution of a city’s intelligent district heating and cooling systems. CELSIUS has a designated amount of personnel resources allocated within the project and these will be made available, up until March 2017, to support those cities that sign up to become CELSIUS Cities. The CELSIUS project has divided the evolution of intelligent district heating and cooling systems in a city into two phases: the Strategic phase and the Development and Delivery phase; and the project will be able to support all CELSIUS cities no matter where they are on this journey, be it just starting out or looking to optimise the operation of extensive existing systems. How can my city get in contact with CELSIUS? You can contact CELSIUS through the “Contact Us” page, from where you can use a contact form or email a contact person from one of the CELSIUS partner cities. You can also talk with a representative from a partner organisation at events, conferences, etc. How can my city become a CELSIUS City? 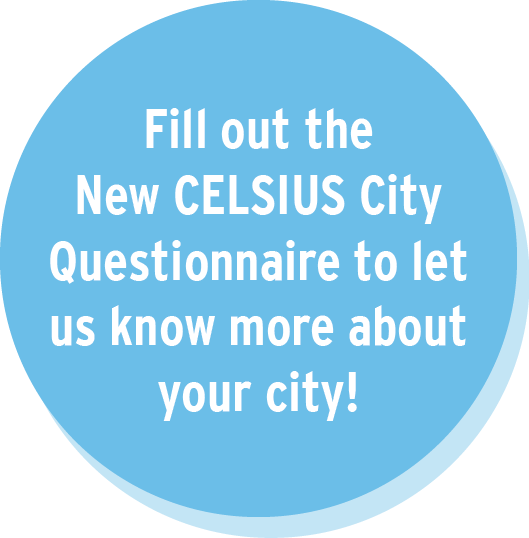 Start the process by contacting us or filling in the New CELSIUS City Questionnaire. What are the costs of becoming a New CELSIUS Member City? There are no fees in joining CELSIUS. There is however a commitment as a member city to invest time, for example to identify the city’s status, needs and challenges; to actively engage and co-operate with the CELSIUS project in pursuing the city’s heating and cooling objectives; and to participate at arranged events such as workshops, study visits and dialogues. When a city becomes a CELSIUS Member City, who needs to sign the Letter of Commitment? Typically the Letter of Commitment is signed by a senior officer and/or a political representative who has responsibility for energy policy within the city. It is also possible that a city representative and a representative from the city’s utility company both sign. The initial stage in this process will be aimed at engaging with potential CELSIUS cities and developing an effective, two-way relationship between the project and the cities. Early communications will explain the CELSIUS project, the benefits of district heating and cooling for cities and the range of support that the project could provide to help the city move along its district heating and cooling path. If district heating and cooling is interesting to the city then the CELSIUS project will do a little work with the city to better understand their existing position and approach to heating and cooling and identify roughly where on the CELSIUS Roadmap the city may be. This engagement process will allow the CELSIUS project to start understanding the needs and expectations of each city that it talks to and then together they will identify the type and nature of support that the project could offer to each city. This process will hopefully help cities make an informed decision about becoming a CELSIUS city and this will form the basis of the relationship that the project will then build with each city. A Letter of Commitment is signed by a senior officer and/or a political representative who has responsibility for energy policy within the city. It is also possible that a city representative and a representative from the utility company cosign. The support that the CELSIUS project can provide will fall into four basic offerings and each of these will be designed in a way that reflects the needs of the CELSIUS cities. It will provide, within the resource constraints of the project, CELSIUS cities with the most relevant support, advice and guidance for the position that they are in as a city to help them either gain support for, establish, construct or ultimately grow district heating and cooling systems in their city. This support for CELSIUS cities will be broadly based around the following four offerings: Demonstrators, CELSIUS Toolbox, Specialist Workshops and Expert Group. i. Demonstrators – This offering will be organised for CELSIUS cities so that they can learn from the new or existing demonstration projects that are of relevance to them and their stage of development. It will help them understand in detail how they work, the benefits they deliver and how a similar project could be delivered in their own cities. There will be opportunities for cities to have study tours of the demonstrators but cities will need to meet any related travel costs themselves. Roadmap element that maps out the various stages in the development and evolution of district heating and cooling systems in cities. It will identify the challenges and opportunities that they may face in progressing through those stages and provide insights into how they could overcome those challenges and realise the opportunities. iii. Workshops and Webinars – This offering will be themed around specific areas of activity which have been identified in conjunction with CELSIUS cities as being the priority areas that they need support with. These workshops and webinars will usually bring CELSIUS cities together to address shared and common challenges to the acceptance, development, delivery and expansion of intelligent district heating and cooling systems. iv. Expert Group – This offering will pool all the knowledge, experience and expertise of the CELSIUS Consortium partners and it will be used to address specific challenges and questions posed either directly by CELSIUS cities or identified in our discussions with them or in workshops. It will cover all aspects and situations that a city may face; from gaining political acceptance and developing policy to establishing, constructing and growing district heating and cooling systems in cities. v. Policy Work – One of the objectives with CELSIUS is to produce recommendations for a more suitable legal and policy framework for enabling urban heating and cooling systems to increase energy efficiency and decrease CO2 emissions. All CELSIUS Member Cities will be invited in the process of producing material when addressing legislative consultations and writing position papers. vi. CELSIUS Network – The CELSIUS partner cities, the CELSIUS Member Cities and the CELSIUS City Supporters make up the CELSIUS Network. The CELSIUS network can meet through CELSIUS events, the CELSIUS LinkedIn group, and through the CELSIUS wiki. As this network grows the distance of the next step to take or the next contact to make in the development of smart DE systems decreases and synergies are created.